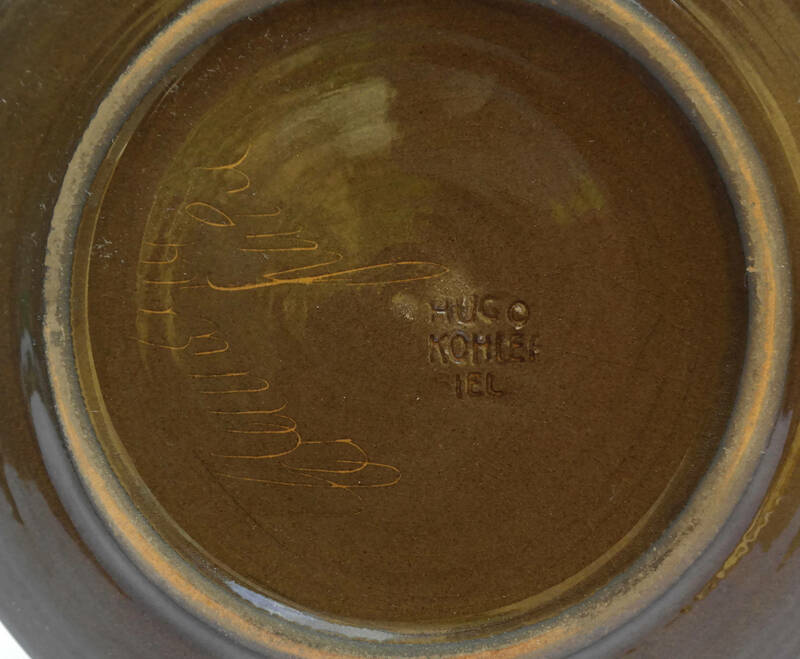 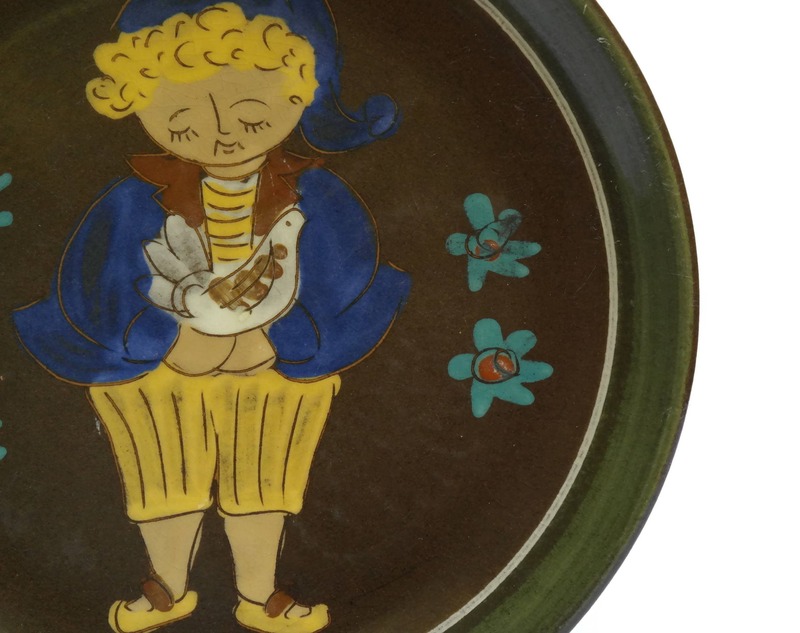 Vintage Hugo Kohler Swiss Folk Art Pottery Plate. 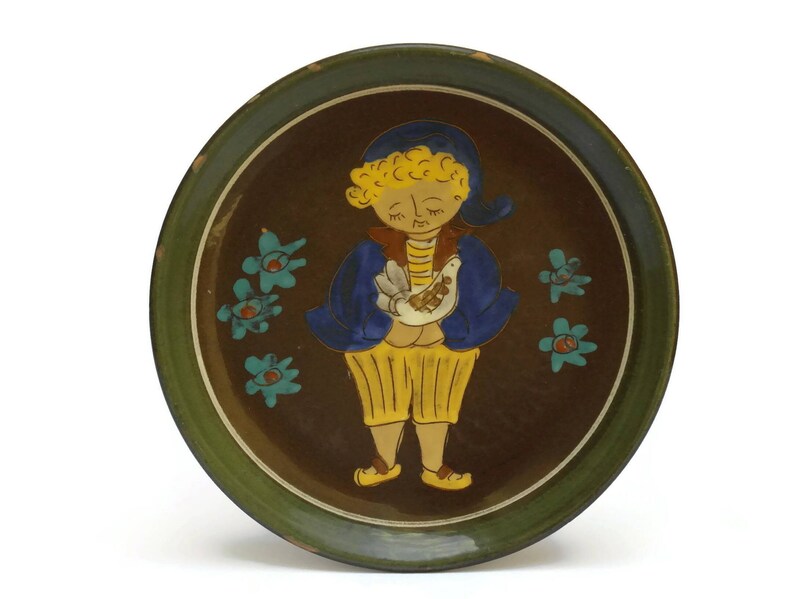 Hand Painted Boy Portrait Wall Plate. 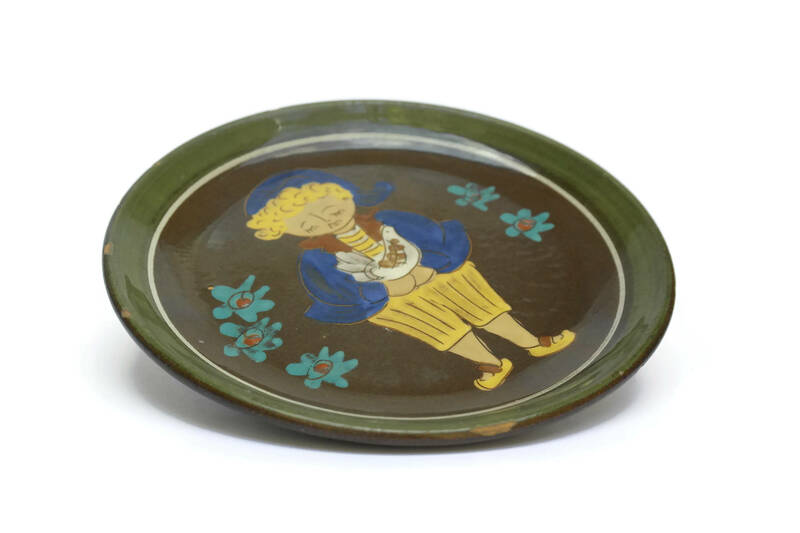 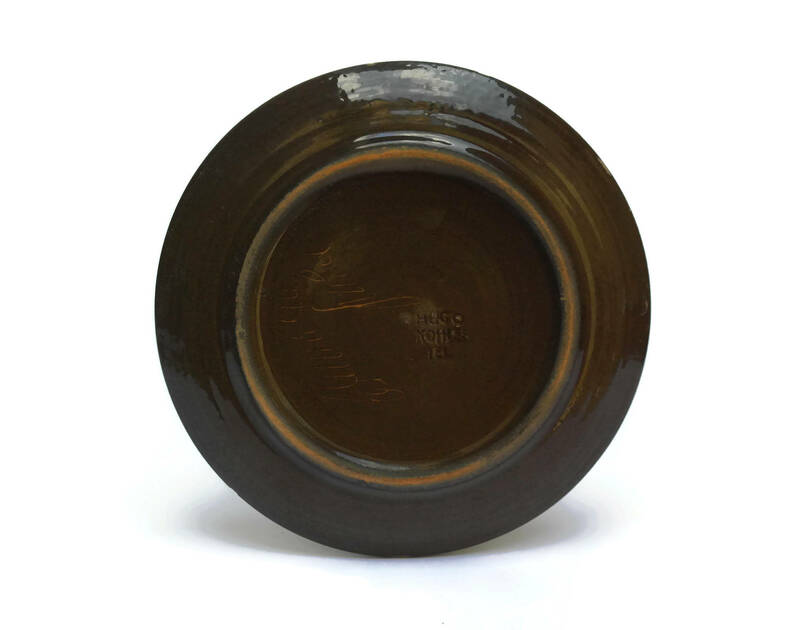 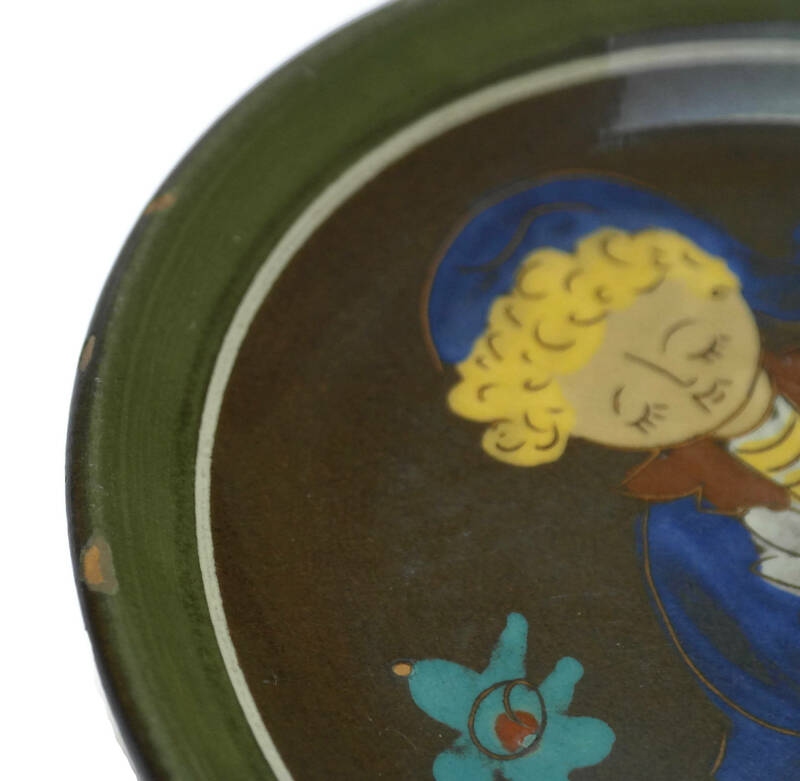 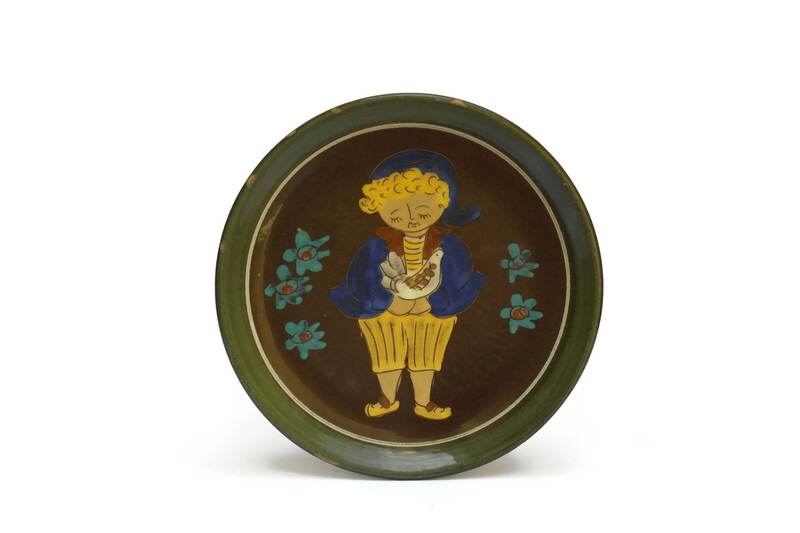 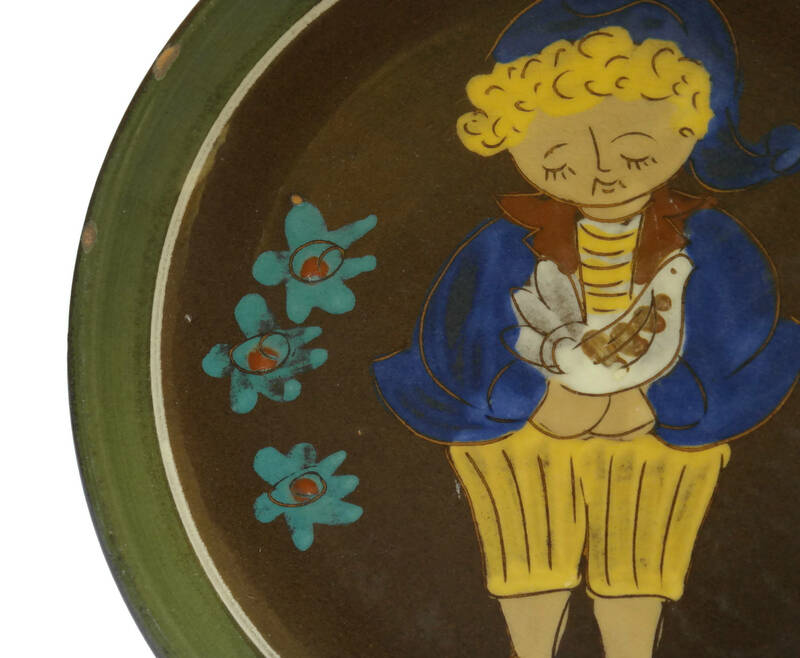 A lovely vintage folk art pottery plate created by the Hugo Kohler Biel ceramic studios in Switzerland. 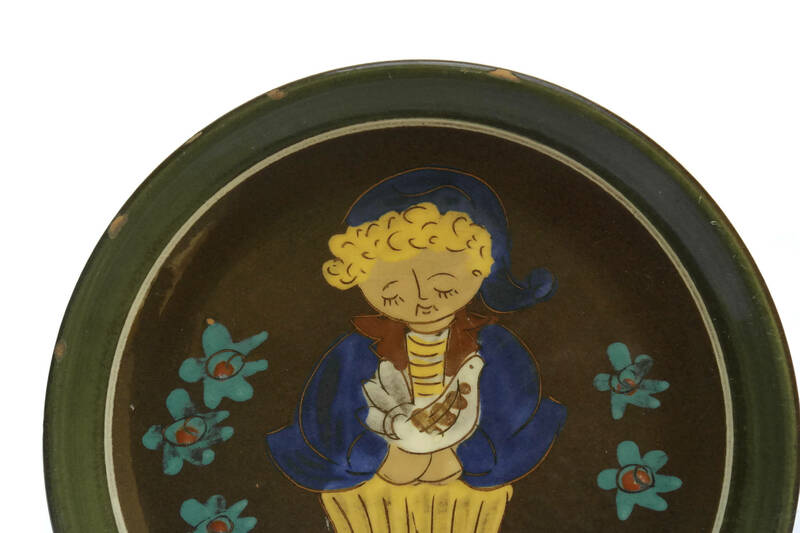 It is from the Swiss children series and features the portrait of a boy in traditional dress holding a bird and surrounded by flowers.